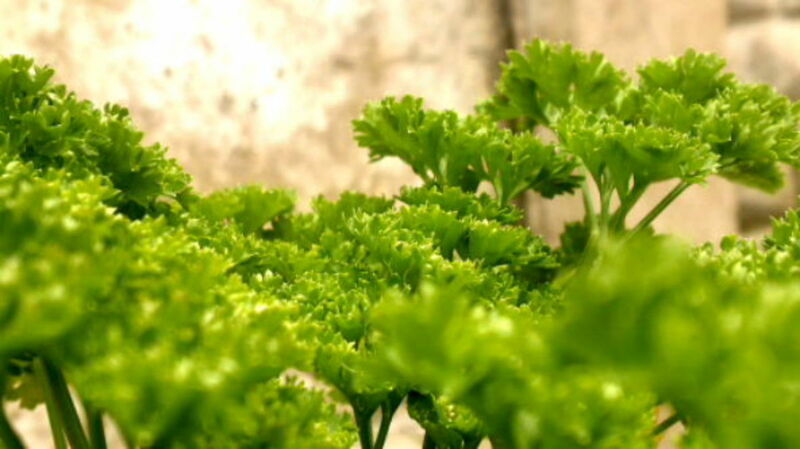 Parsley, also called garden parsley, is called Ajmoda in Hindi. 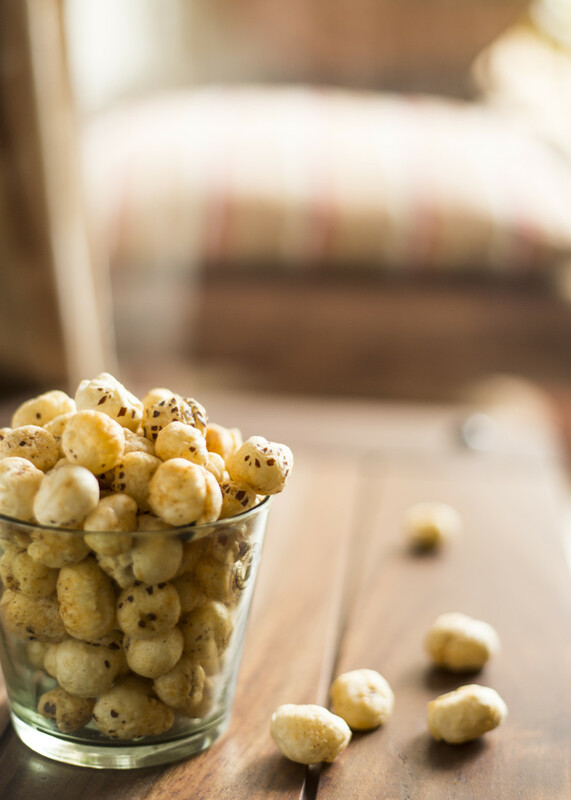 It is a biennial herb native to the central Mediterranean region. 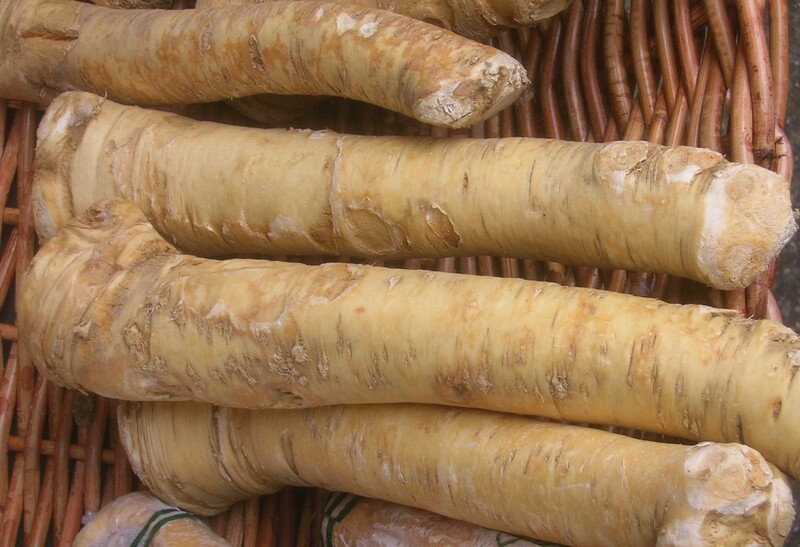 It is used both in cooking and as a herb in traditional medicine, since the times of the ancient Greeks, because of its exceptional and unique nutritional profile. The flat leaf parsley variety resembles cilantro or coriander leaves and has a more intense flavour than the curly leaf variety. Parsley is much used in American, European & Meditteranean cooking. It lightens the taste of garlic and when added to fish lessens its odor. 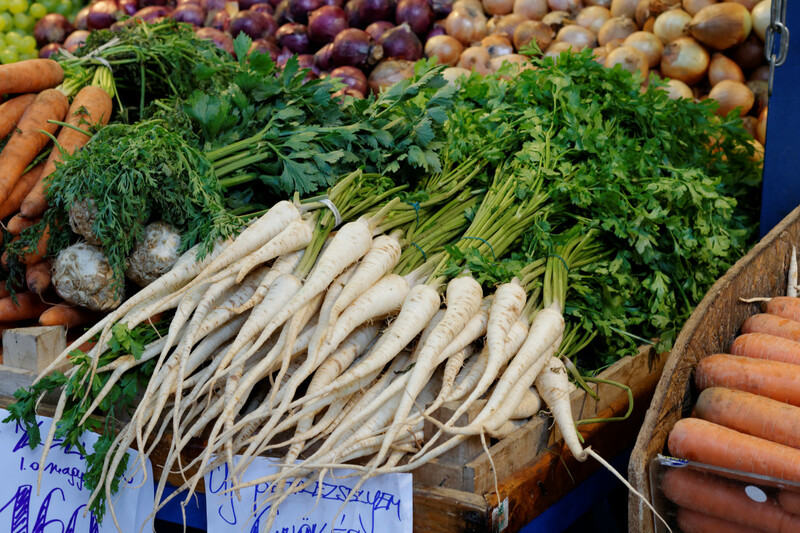 The root variety of parsley is called Hamburg root or turnip rooted parsley and has been developed for its roots about 200 years back though the leaf variety has been used for the last 2000 - 3000 years. 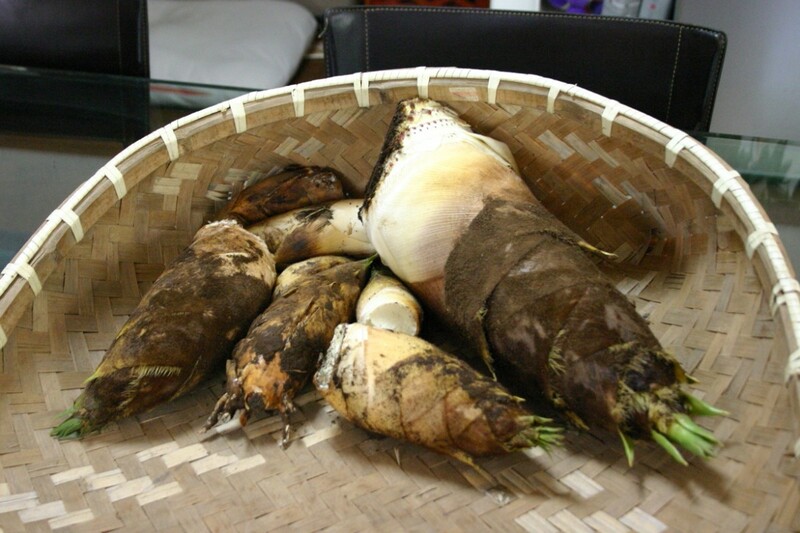 The tuberosum variety of Petrodelinum crispum produces thick roots that are used in soups and stews and also consumed raw just like carrots are. 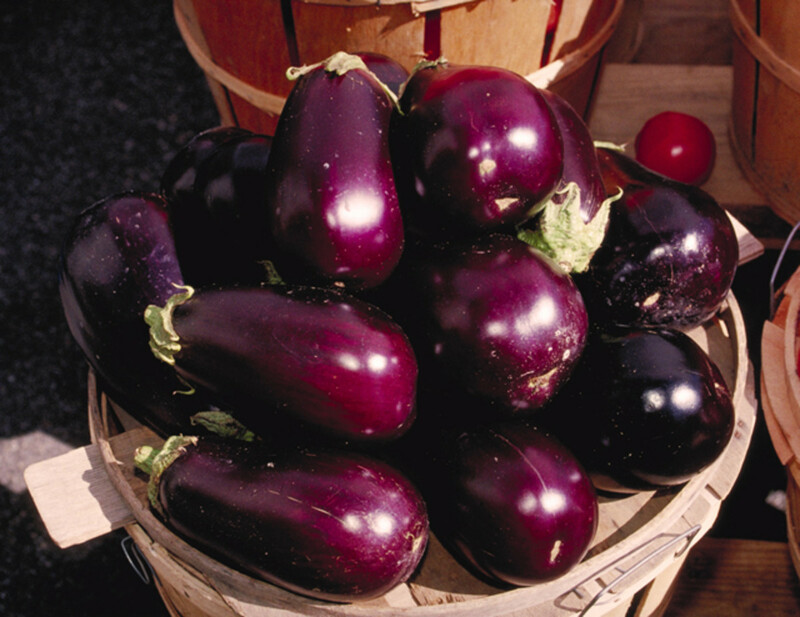 This variety is used in Central and Eastern European cuisine. Before parsley started to be used as food it was used medicinally. The ancient Greeks held it as sacred and used it more for ceremonies like crowning victors of athletic events and decorating the tombs of the dead. Parsley today is used in garnishing, salads, soups, stocks and for flavouring both vegetarian and non vegetarian dishes. Parsley became popular as food during Roman times. Parsley leaves are often chewed to keep the breath fresh. Parsley is the most cultivated herb in Europe and the most used herb in the United States. 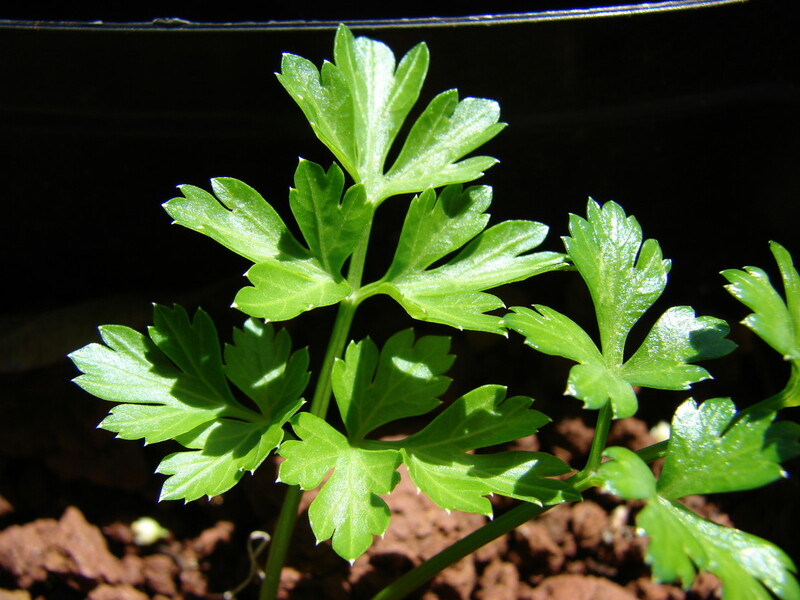 Parsley is a tropical plant, that grows best in partial shade, though it can bear full sunlight. It grows in acidic to basic soil but the soil should be moist and drain well. It grows to a height of 1 to 2 feet producing just leaves in the first year and flowering in the second. It has bright green to dark green leaves and though the flat leaf variety resembles coriander leaves it has a comparatively milder flavour. Parsley seeds germinate quite slowly taking several weeks so it makes sense to start off growing parsley from seedlings instead. The flat leaf parsley variety is more hardy than the curly leaf one, and withstands dry as well as cold and wet climates, like rain and snow. The stems have more flavor than the leaves. Parsley is best used fresh though freezing parsley retains most of its flavour as well as nutrients. Parsley flavor is best in the first year, the leaves becoming bitter in the second year. The two year old roots as well as the dried leaves are used to produce parsley tea. 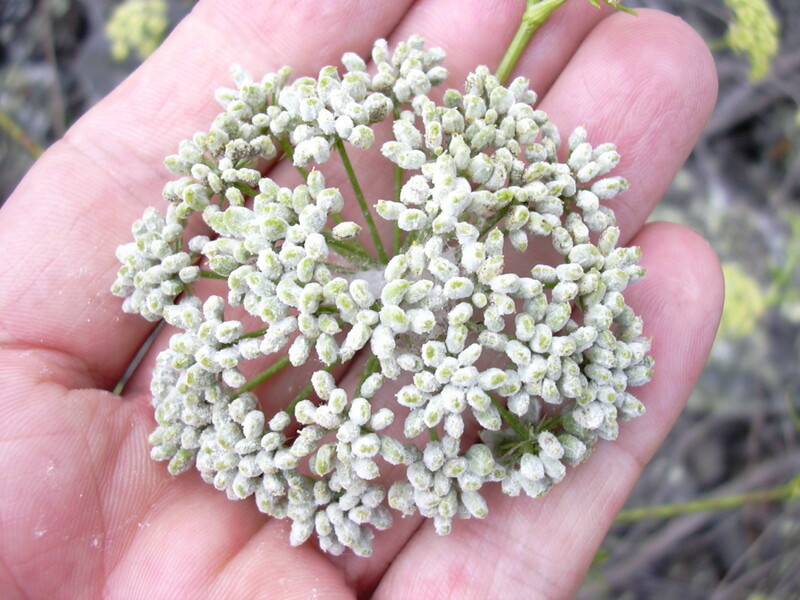 Parsley seeds yield the oil, Apiol, which has medicinal properties. 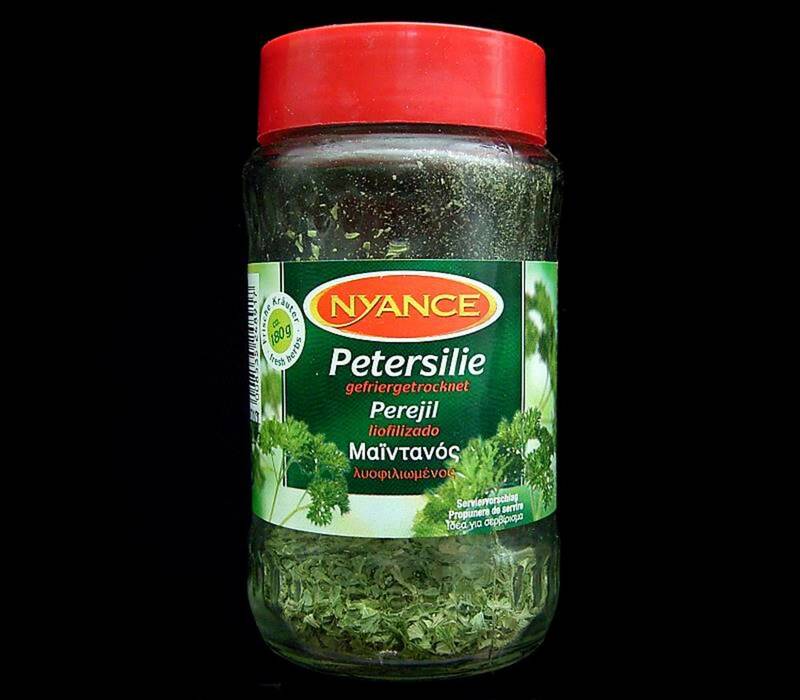 Parsley has a potent combination of several compunds including polyphenolic flavonoids, antioxidants and volatile oils. Roots have a greater concentration of these essential oils. Besides being extremely low in calories and fat parsley is a zero cholesterol herb but provides a high fiber content. Several of its volatile essential oils like myristicin, eugenol, limonene and alphathujene have health benefitting value. Among all herbs parsley is the richest source of vitamin K. At the same time it is an excellent source of vitamins A, C, folates and iron. 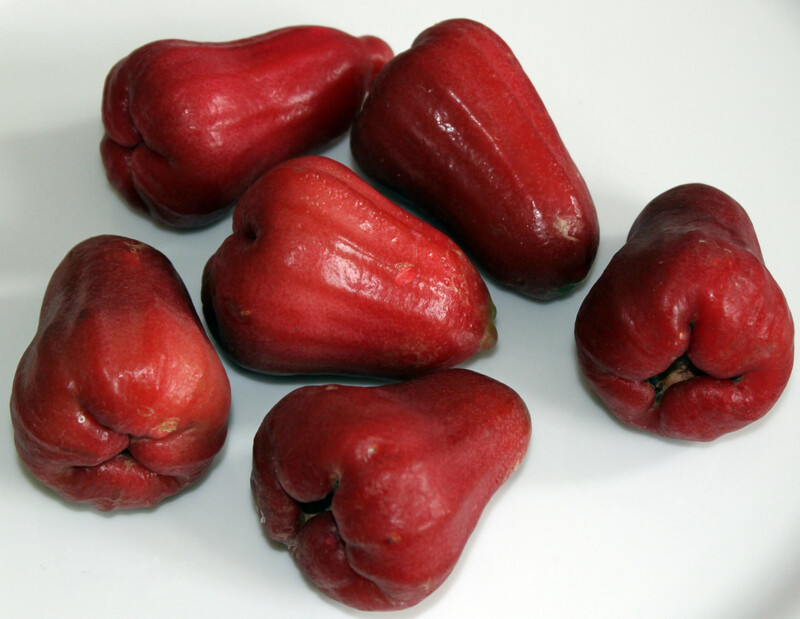 It supplies good amounts of potassium and several minerals like calcium, copper, magnesium, manganese, zinc and phosphorus and several Bcomplex vitamins as well. 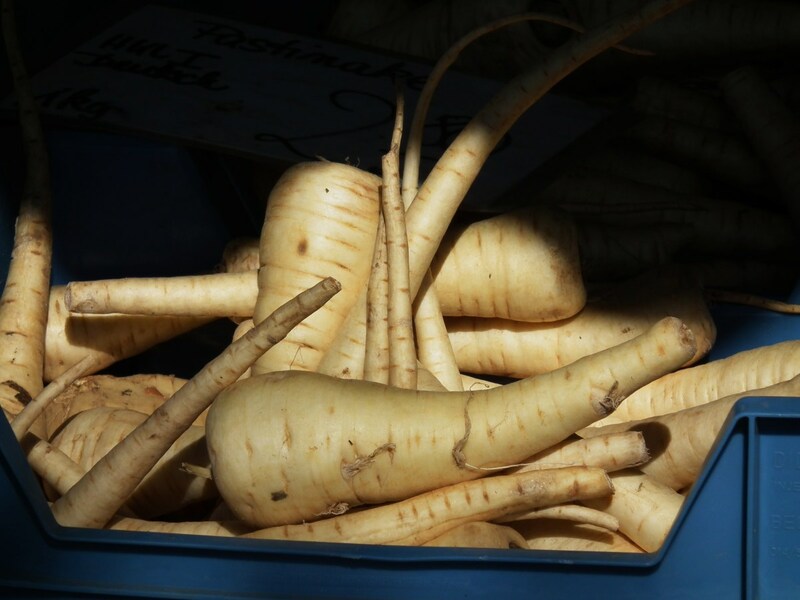 It is rich in the phytonutrients beta carotene, lutein and zeaxanthin. The leaves contain significant amount of protein, surprisingly for a herb. Details of individual nutrient levels of the various compounds can be seen in the nutrient table below. Being exceptionally loaded with vitamin K it invariably not only promotes bone strength and bone health but also these levels help to limit the neuronal damage in brain cells. This aids in protecting from Alzheimer's disease. The folates break down homocysteine. High levels of homocysteine and low levels of calcium lead to osteoporosis and parsley helps counter osteoporosis because of its high folic acid and calcium levels. Excellent folate and iron levels promote formation of haemoglobin and prevent anemia. The high fiber content aids in passage of food in the GI tract and prevents constipation while also regulating cholesterol levels. Its diuretic action helps in detoxifying the body of harmful compounds like mercury which is a part of many dental fillings. The volatile oils, esp, myristicin, prevent tumor formation, esp, lung tumors. These volatile oils, in fact, have a chemoprotective effect and neutralize cancer causing agents that are produced in cigarette smoke as well as charcoal grill smoke while grilling food. The myristicin not only lowers blood sugar levels but also decreases insulin resistance. This prevents and treats diabetes. It also purifies blood. 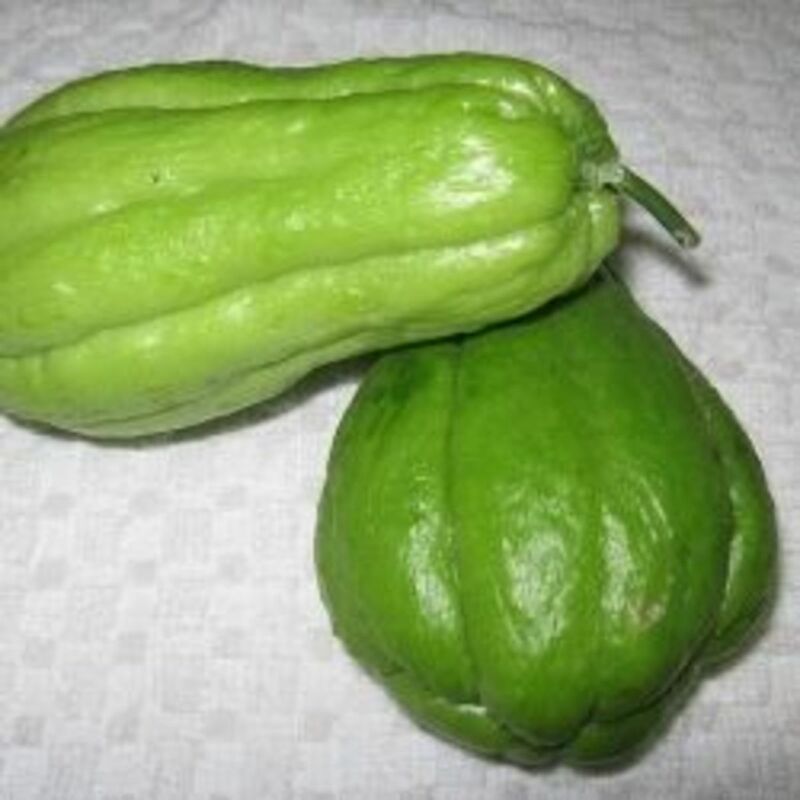 Its anti inflammatory properties are due to the high vitamin C and beta carotene. These aid in removing excess uric acid and lessen the severity of rheumatoid arthritis. Foods rich in cholorophyll like parsley and other green herbs & vegetables are especially helpful in neutralizing the cancer causing heterocyclic amines that are produced when foods are grilled/ charred at high temperatures. The chemical apigenin in parsley has been found to reduce the size of breast cancer tumors in a study at the University of Minnesota. By controlling the homocysteine levels parsley also limits the damage to blood vessels and thereby lowers heart attack and stroke risk in those with atherosclerosis or diabetes. Parsley's strong nutritional profile helps in boosting the immune system. Parsley has carminative, tonic and laxative action but its root decoction because of its diuretic properties reduces congestion of kidneys, jaundice and dropsy. It is useful in cases of stones and gravel too. Since parsley has antiseptic property a poultice made of its leaves can be usefully applied to wounds and insect bites. 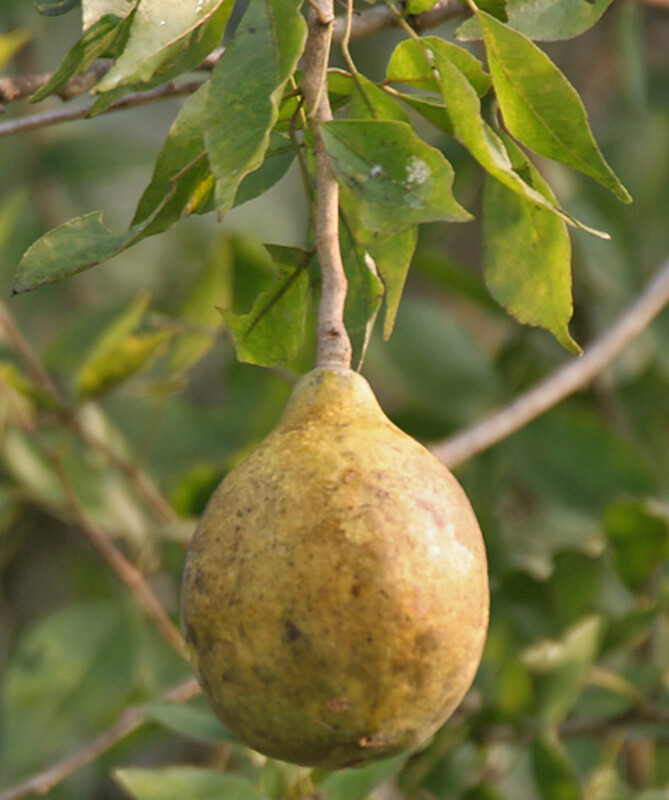 The juice made from the roots reduces swelling when applied externally. Parsley & its tea improves blood circulation while the infused leaves make a digestive tonic as well. The water in which parsley leaves have been infused is a good hair tonic and conditioner. It can be added to body lotions to combat dry skin. In Aromatherapy, parsley essential oil has been used to reduce water retention in the body, stimulate the kidneys, cleanse the blood, improve circulation and ease muscle spasms. Overall, the various antioxidant vitamins, A, C, beta carotene, help lower the risk of atherosclerosis, diabetes and colon cancer and also reducing the severity of asthma, osteoarthritis and rheumatoid arthritis. Parsley Seed 100% Pure, Undiluted Essential Oil Therapeutic Grade - 10ml- Great For Aromatherapy! This hub would not be complete without mentioning some of the precautions that need to be taken with regard to parsley. As parsley is very rich in Vitamin K those on blood thinning medications need to be extra careful while consuming parsley. Since it is rich in oxalic acid those with kidney or gall bladder issues like stones, gout or gouty arthritis should avoid consuming it. Parsley can increase sensitivity to sunlight and cause rashes etc. Pregnant women should no consume parsley in large amounts as it stimulates the uters and can lead to preterm labor. Do not consume high amounts of parsley infusion/decoction as it may cause inflammation or damage digestive or urinary systems. Glad you find the information on Parsley useful. I appreciate your visit Peggy. We love eating parsley. The ones I planted this year have died. I might try planting more in the fall. I had never heard of those precautions for consuming parsley. Interesting to know. Flourish, parsley does freshen the breath. Appreciate your stopping by. Adding lemon is a great idea! Thanks again. Parsley's one thing I use generously. My dad loves to eat is for breath neutralization? I have the French parsley growing as well in my pots and use it along with lemon to flavor my foods thus cutting down on salt. I'm glad you appreciate the information. Thanks Audrey. Growing my own french parsley now takes on a whole new meaning. Hurray for all these health benefits! @Bill, thanks for the compliments. Means a lot to me. @Shaloo, thanks for appreciating the hub. Always good to see you. @MsDora, I'm glad the hub provided you with some new information. I appreciate your comments a ton. Thank you. I learned several helpful facts here about parsley that I did not know: lessening fish odor, good hair tonic, and more. Thank you very much. Totally new information for me. I wonder how you come up with these unique ideas! Even when you write about an herb I grow often, I learn a great deal from you, so thank you my friend.